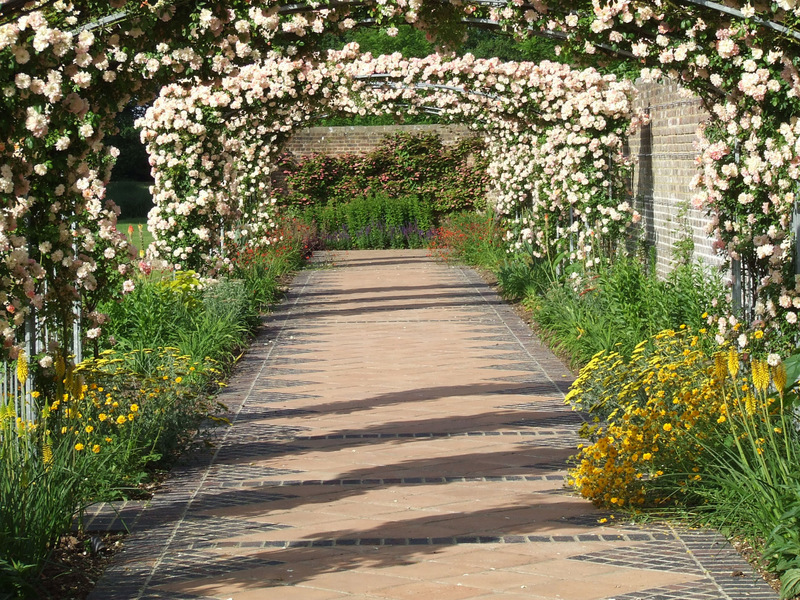 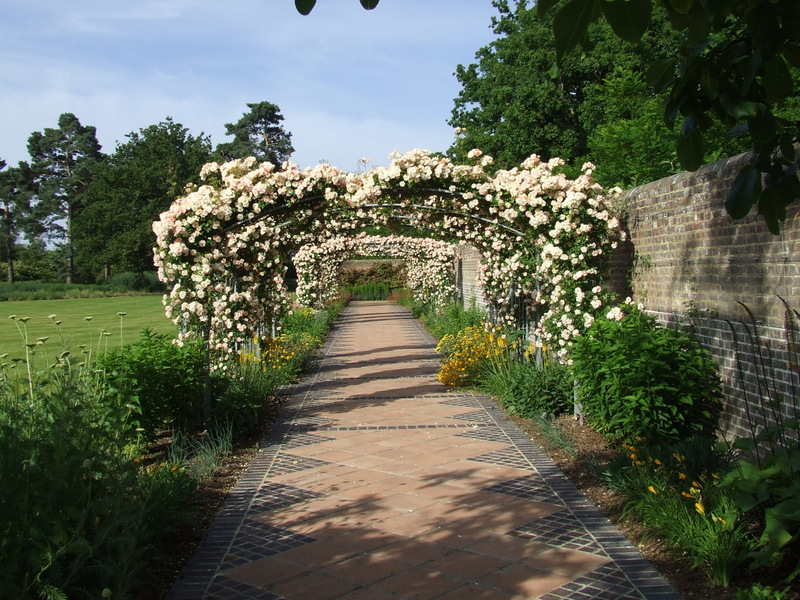 The rose covered arches frame the view with continual colour throughout the summer months. 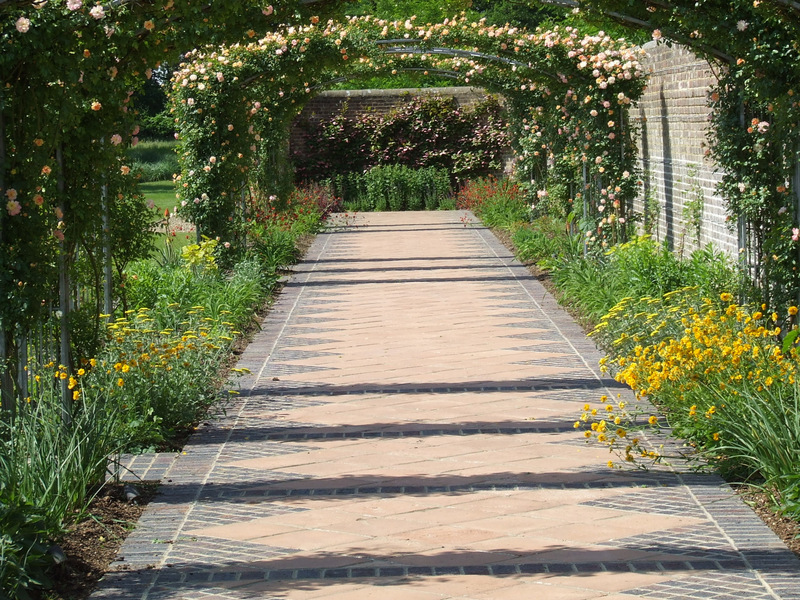 The perennials here move through the colours of yellow, orange, red, to blue/purple to draw you through the walk. 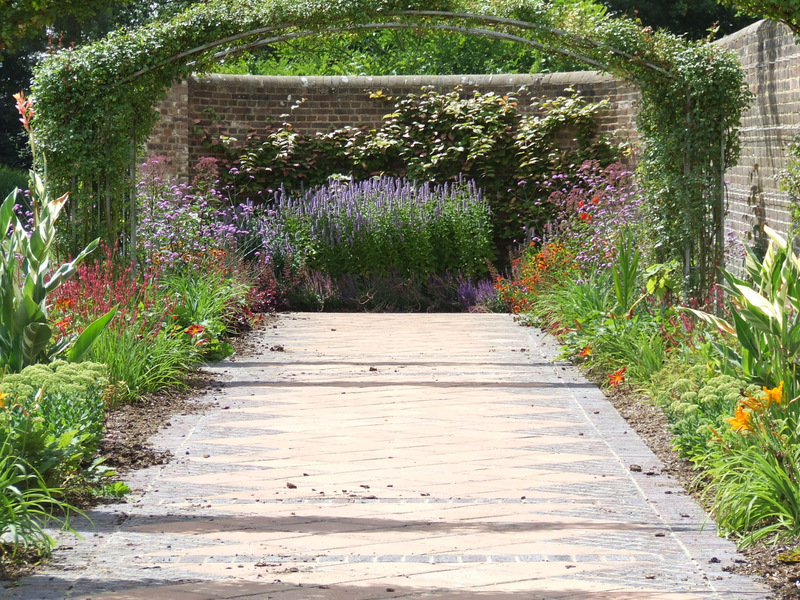 It is also underplanted with masses of bulbs to give a big impact in spring.